Adults with healthy eyes who took a daily nutritional supplement containing lutein, meso-zeaxanthin and zeaxanthin for 12 months showed improved contrast sensitivity compared with people who took a placebo, in a new study. Improving contrast sensitivity can help drivers function better in low light and bad weather. And sports like golf are more enjoyable when the ball is easier to see against the background. The three plant pigments, characterized as xanthophyll carotenoids, make up the macular pigment (MP) in the human eye. This is the yellow pigment found only in the macula of the retina, which controls central visual acuity and color vision. Macular pigment also is a powerful antioxidant and helps protect the retina from damaging effects of high-energy visible light (blue light). In the study, 53 healthy subjects with low baseline concentrations of MP took a daily supplement containing 10 mg lutein, 10 mg meso-zeaxanthin and 2 mg zeaxanthin. A control group of 52 subjects with similar macular pigment levels took a placebo pill daily. Compared with the placebo, the supplement containing macular pigments produced significant improvements in contrast sensitivity at two different measures of visual target faintness compared with background brightness (6.0 and 1.2 cycles per degree). Contrast sensitivity (CS) is a more sensitive measure of visual function than conventional visual acuity testing, which uses black letters on a white background. CS testing evaluates the faintest target a person can see, whereas visual acuity testing measures the smallest (high contrast) target a person can see. In a live webinar, lead investigator John M. Nolan, PhD, of Nutrition Research Centre Ireland (Waterford, Ireland), explained that the study results suggest that dietary supplementation of the macular carotenoids can have meaningful effects on visual function. These include improvements in driving vision, night vision, sports vision and one's overall enjoyment of the visual world. The researchers also noted that concentrations of macular pigments in the retina decrease with age. They speculated that visual improvements are likely to be noticed by all adults who enrich their macular pigment levels with supplements, not just individuals with low baseline MP concentrations. A full report of the study appeared in the June 2016 issue of Investigative Ophthalmology & Visual Science. New research indicates that leafy greens may be even healthier than we thought. While veggies like spinach, kale and collard greens may not be able to cure glaucoma, eating them regularly may help protect you against ever developing the most common form of the disease, known as primary open angle glaucoma (POAG). Researchers at Brigham and Women's Hospital and Harvard Medical School followed more than 100,000 men and women who were enrolled in two major medical studies for a period of more than 28 years. Everyone in these studies was 40 years or older, and none had glaucoma at the start of the study. The patients received eye exams every two years, and throughout the course of the studies, 1,483 people developed POAG. When the researchers looked at the diets of the study participants, they noted a strong similarity among those who did not develop glaucoma — these people ate more leafy greens. In fact, greater intake of green leafy vegetables was associated with a 20 percent to 30 percent lower risk of POAG. The association was even stronger for POAG with early paracentral visual field loss, a common subtype of POAG. The research revealed that people who ate a lot of leafy greens had a 40 percent to 50 percent lower risk of acquiring this form of the disease. The reason these super foods offer such great protection is related to the dietary nitrate they contain. It's thought that glaucoma impairs blood flow to the optic nerve. Nitric oxide helps regulate this flow. Since leafy greens contain high levels of nitrates, the precursor to nitric oxide, consuming them likely keeps things running more smoothly. A significant amount of other new research is currently aimed at developing therapeutics that treat glaucoma by way of nitric oxide. In fact, the FDA is reviewing at least one new medication that donates nitric oxide. But thanks to this latest report, far fewer people will need it if they load up on leafy greens before any glaucomatous damage is done. So just how much roughage do you need to eat to protect yourself from glaucoma? In this study, those who consumed the most leafy greens averaged about 1.5 servings per day, which equates to about one and a half cups. The study was published in JAMA Ophthalmology in January 2016. — A.H. Eating a diet rich in the carotenoids lutein and zeaxanthin is associated with a long-term reduced risk of developing advanced age-related macular degeneration (AMD), according to a study. Please click on the image for a salad recipe that features kale, a great source for lutein. Data for the study was gathered from two long-term studies — the Nurses' Health Study and the Health Professionals Follow-up Study — that followed 100,000 subjects (63,443 women and 38,603 men) ages 50 and older for more than two decades. None of the participants had diagnosed macular degeneration, diabetes, cardiovascular disease or cancer at the beginning of the study periods. Blood levels of lutein and zeaxanthin were estimated based on diet and food intake questionnaires administered throughout the study period and the bioavailability of the carotenoids in the foods eaten. Associations between these scores and development of AMD were then determined. At the end of the study period, there were 1,361 cases of intermediate AMD and 1,118 cases of advanced AMD (visual acuity of 20/30 or worse) among the study participants. Comparing the incidence of macular degeneration among participants with lutein and zeaxanthin scores in the top 20 percent versus those with scores in the bottom 20 percent, the researchers "found a risk reduction for advanced AMD of about 40 percent in both women and men" among those whose diets contained the most carotenoids. Also, predicted plasma scores for other carotenoids — including β-cryptoxanthin, alpha-carotene and beta-carotene — were associated with a 25 to 30 percent lower risk of advanced AMD when comparing these same subgroups. No associations between predicted plasma scores of lutein, zeaxanthin or other carotenoids with intermediate AMD were identified. The study authors concluded the results of the study "further strengthen the evidence base for a protective role of lutein and zeaxanthin" (against macular degeneration). They also said, "Because other carotenoids may also have a protective role, a public health strategy for increasing the consumption of a wide variety of fruits and vegetables rich in carotenoids could be most beneficial and compatible with current dietary guidelines." The study, published online in October 2015 by the American Medical Association journal JAMA Ophthalmology, was conducted by scientists affiliated with the following institutions: Department of Nutrition, Harvard T. H. Chan School of Public Health (Boston, Massachusetts); Warren Alpert Medical School, Brown University (Providence, Rhode Island); Department of Epidemiology, Brown School of Public Health (Providence, Rhode Island); Brigham and Women's Hospital, Harvard Medical School (Boston); and University of Utah School of Medicine (Salt Lake City). Due to poor eating habits, American children of all ages (and especially adolescents) are missing key nutrients. That's the conclusion of Purdue University nutrition researcher Heather Eicher-Miller, PhD, during her presentation at a meeting of the Institute of Food Technologists in July 2015. We get it: fries are yummy! But good eye health requires more than a fast food diet. It can be particularly challenging for adolescents to meet their nutritional needs because of accelerated physical growth during this stage of life and because teens make more independent food choices that often lack key nutrients, according to Dr. Eicher-Miller. She and her Purdue colleagues conducted a review of research on nutritional gaps in children over the last 10 years. They found kids in the U.S. frequently were deficient in vitamins A, D, E and K (found in green vegetables), calcium and magnesium. Ages 9 to 13: Girls showed nutrient gaps in vitamins A, D, E and K, and in magnesium and potassium; boys were deficient in vitamins D and E.
Ages 14 to 18: Girls lacked adequate levels of vitamins A, C, D and E, as well as zinc, potassium, magnesium and calcium; boys were deficient in A, C, D, E, calcium and magnesium. Gaps in these important nutrients can have implications throughout the body, may affect attentiveness and academic performance, and may also affect long-term eye and vision health. Avoid or cut back on sugary soft drinks and energy drinks. Drink more water instead. For flavor, add a slice of lemon, lime or orange. Fruits and veggies are your friends. Snack on these instead of high-calorie, low-nutrient junk food. Don't add salt to your food. If you feel the need for a salty snack, try a small handful of nuts. Avoid fried foods. Try more healthful alternatives, including grilled lean meats and sushi. Take a balanced multivitamin supplement daily with breakfast or lunch. Also, get plenty of sleep to help your body recharge, recover and be ready for a new day! Do you eat enough raw veggies? Most people don't. But not only should you add more salad to your diet, you should also consider eating eggs with it. In a study by Purdue University researchers, 16 young men ate three versions of a salad containing tomatoes, carrots, romaine lettuce, baby spinach and Chinese wolfberries (also called goji berries). One version had no egg; the second version had one and a half scrambled whole eggs; and the third had three scrambled whole eggs. Eating the cooked eggs increased the absorption from three- to nine-fold of the carotenoids in the vegetables, including beta-carotene, alpha-carotene, lycopene, lutein and zeaxanthin. (The egg yolks also contain lutein and zeaxanthin.) Many carotenoids are considered eye health boosters. Wayne Campbell, PhD, professor of nutrition science at Purdue, and his group would also like to investigate the effects of eating cooked eggs on the absorption of other fat-soluble nutrients, such as vitamins E and D. — L.S. Written by optometrist Sandra Young, OD, Visionary Kitchen is a cookbook with beautiful photography that will inspire you and your family to eat better for eye health. You can order a copy of Visionary Kitchen on Amazon or at VisionaryKitchen.com . The book contains more than 150 easy, delicious recipes that include ingredients containing lutein, omega-3 fatty acids, vitamin A, vitamin C, zinc and other nutrients thought to promote eye health and good vision. The recipes list the amounts of eye-healthy nutrients in each serving. The recipes are low-glycemic and include gluten-free, vegan, vegetarian and dairy-free options. Especially interesting is the section on snacks: It includes several great recipes for energy bites that you can eat when your tummy's growling and lunchtime is still a couple hours away. Plus, the mushroom lentil pate and the salmon black bean mash make excellent spreads for party appetizers. Other great ideas are herb and spice blends you can make yourself, healthful smoothie drinks and creative breakfast recipes, such as broccoli-quinoa mini-quiches and omega-3 pancakes. — L.S. Please click here for more eye-healthy recipes also created by optometrists. In extreme cases, normally due to alcoholism, anorexia or other disorders that lead to malnourishment, vitamin B1 (thiamine) deficiency can cause Wernicke encephalopathy. Sunflower seeds, pork and macadamia nuts are among the foods that are high in vitamin B1. 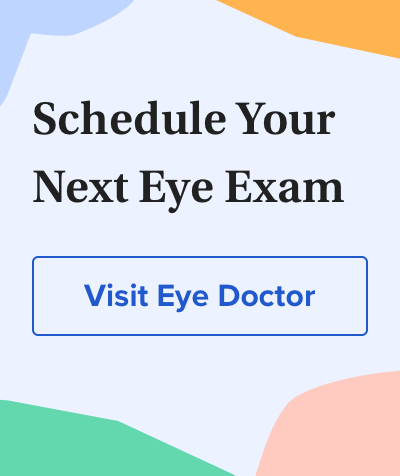 This serious neurologic disorder is associated with eye problems like double vision and involuntary eye movement, and can even lead to irreversible brain damage and death, according to researchers at Loyola University Medical Center. Wernicke encephalopathy is often undiagnosed. "Particularly in those who suffer from alcoholism or AIDS, the diagnosis is missed on clinical examination in 75 to 80 percent of cases," wrote the researchers. Thiamine is an essential vitamin for a variety of organ functions, including the nervous system. The current recommended daily value for vitamin B1 is 1.4 mg. Foods rich in thiamine include lean pork, sunflower seeds, trout, edamame and macadamia nuts. It has been proposed that the antioxidants found in red wine may be beneficial to eye health. But before you raise that wine glass, you should also consider the harmful effect that alcohol has on our vision in low light and at night. Scientists at the University of Granada in Spain say they have proven that alcohol consumption increases the perception of halos around lights at night. So, for example, streetlamps and oncoming headlights appear larger and more dazzling, so pedestrians and traffic signs can become less visible, creating a dangerous situation. The researchers evaluated retina image quality and night vision performance in 67 people who had consumed various quantities of wine. Their breath alcohol content was also measured. Those with a breath alcohol content level over the legal limit (.25mg/l in Spain) experienced significant deterioration in their vision, with more perception of halos and other nighttime visual problems. One reason may be that the ethanol in alcoholic beverages disturbs the lipid layer of the eye's tear film, which can increase evaporation of the tear film's watery component. This tear evaporation can create vision problems. A report of the study appeared in the Journal of Ophthalmology in 2014. Higher circulating blood levels of EPA and DHA — essential omega-3 fatty acids found in salmon and other oily fish — were significantly associated with lower risk for neovascular age-related macular degeneration (wet AMD). Eating more salmon and other oily fish and seafood high in omega-3 fatty acids (sardines, mackerel, tuna, anchovies, oysters) may reduce your risk of macular degeneration. Researchers in France evaluated levels of EPA and DHA in the blood serum and red blood cell membranes of 290 patients with wet AMD in one eye and early AMD lesions in the other eye and 144 patients without AMD in either eye. Dietary intake of seafood was estimated by a food questionnaire completed by all participants. Dietary oily fish and seafood intake were significantly lower in AMD patients compared with healthy patients without AMD. After adjusting for age, gender, family history of AMD and other factors, higher serum EPA levels were significantly associated with a lower risk for neovascular AMD. Higher levels of EPA and combined EPA and DHA levels in red blood cell membranes also were significantly associated with a lower risk for wet AMD. The study authors concluded that blood levels of EPA and DHA omega-3 fatty acids, particularly levels found in red blood cell membranes, may be a useful objective marker to identify people at risk for neovascular AMD and those who might benefit most from changing their diet to reduce risk of macular degeneration. The study appeared online in February 2014 in Investigative Ophthalmology & Visual Science. Ladies, it's time to eat more of your fruits and veggies. Colorful fruits and vegetables are the best source of antioxidants for women to lower the risk of cataracts as they age, according to a Swedish study by the Institute of Environmental Medicine at the Karolinska Institutet. Coffee, tea, whole grains, red wine and many fruits and vegetables all contain high amounts of antioxidants, which may lower the risk of cataracts in women. For the study, more than 30,000 Swedish women over age 49 were observed for about seven years for signs of developing cataracts and were given a dietary questionnaire. The study found those with the highest total intake of antioxidants had about a 13 percent lower risk of developing cataracts than women with the lowest intake. Instead of looking at single antioxidants, such as vitamins C and E, and plant flavonoids such as lycopene, the researchers used a measure of total antioxidant values in foods, which takes into account how the nutrients work together. Foods high in antioxidants include coffee, tea, oranges, whole grains and red wine. Based on total antioxidant consumption, the researchers divided the women into five groups, ranging from the greatest antioxidant intake to the least. Among those who ate the most antioxidants, 745 cases of cataract were recorded, compared with 953 cases among women with the lowest antioxidant consumption. Women who ate more antioxidants also tended to be more educated and were less likely to smoke. The findings are in line with previous research suggesting antioxidants may help protect against cataracts. More than 20 million Americans aged 40 years and older have cataracts, which cause clouded vision and eventually blindness, in one or both eyes, according to the U.S. Centers for Disease Control and Prevention. Circulating omega-3 fatty acids and neovascular age-related macular degeneration. Investigative Ophthalmology & Visual Science. February 2014.